London - British Foreign Secretary William Hague said on Monday he was stepping down from his post as the country’s top diplomat after four years in the job as part of Prime Minister David Cameron’s biggest reshuffle since he was elected in 2010. “Tonight I am standing down as Foreign Secretary after 4 years to serve as Leader of the House of Commons,” Hague wrote on his official Twitter account. 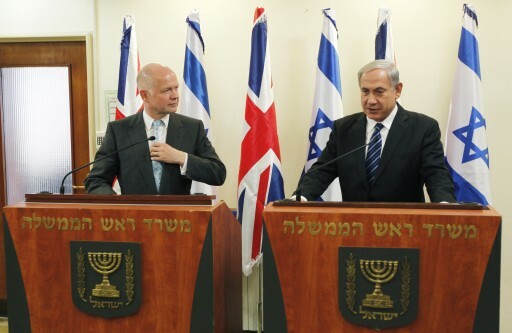 Hague’s new role will see him coordinating the government’s business in the lower house of Britain’s parliament. Cameron, the leader of the Conservative party, is carrying out what is expected to be a final reshuffle of top government jobs before a national election next May and is likely to announce a raft of new appointments on Tuesday. Lagging the opposition Labour party in the opinion polls by between three and seven percentage points, Cameron is expected to promote a raft of women to senior posts to correct a perceived gender imbalance and to dismiss several older men. Hague had been expected to stand down as a member of parliament at the next election, something he said on Monday he’d still do. But he had been expected to continue as Britain’s top diplomat until then and his resignation came as a surprise. Local media said Philip Hammond, the current defence secretary, would replace Hague as Foreign Secretary though that could not be independently confirmed. Cameron’s office said in a statement the British leader had accepted the resignation of seven ministers including Kenneth Clarke, a minister without portfolio and a veteran supporter of Britain’s EU membership. Good riddens.Never liked his style anyway !